#TheMoreYouKnow: How Horses GO — Charleston C.A.R.E.S. Every horse’s collar and set of hames is specifically adjusted to fit them and transfer the draw weight comfortably to their shoulders. The hames are buckled around the horse’s collar and are attached to the forward end of the traces. The tail end of each trace is attached to a single tree. The single tree has one bolt through its center that connects it to the crossbar of the shafts. The single center bolt allows the singletree to swivel and each side moves forward and back with the horse as it walks. The heels of the shafts are connected to the carriage’s front axle assembly and fifth wheel. 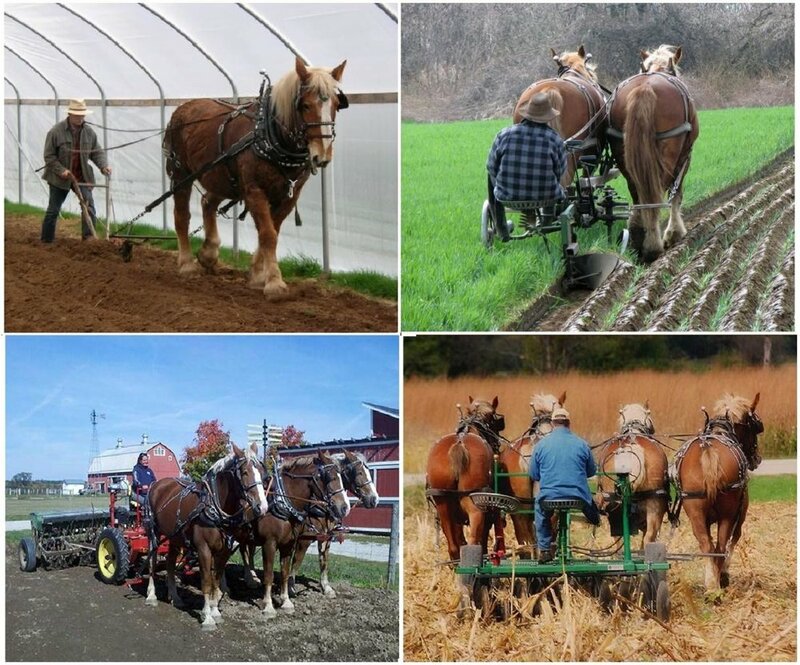 Have you ever wondered how much weight is actually transferred via the horse’s harness? The typical draw weight (draft) of a fully loaded carriage in Charleston is less than 100 pounds – roughly 5% of the horse’s weight. Don’t get confused – the draw weight is how much force it takes to keep the load moving – it is not the weight of the load itself on the ground. Another way to think of it is that it’s the weight the horse feels. When draft horses are worked full days on farms, they calculate how many horses they need for a specific load based on a target draw weight that is 10-15% of the horses combined weight. On the low side of that and in one of our carriages, that would translate to the carriage weighing 6 times the horse. That is why you often hear that a draft horse is capable of pulling more than six times its weight. However, all C.A.R.E.S. horses follow the city ordinance that limits the weight of the carriage and passengers to three times the weight of the animal(s) (29-212 (c)(5)). This gives our horses a 50% safety margin! Once the carriage is moving, it won’t be long until it needs to change direction. Stay tuned for our next blog featuring how carriages turn!